In the 1970s, Pierre Berton and his family recreated the trip down the Yukon made by his father, Francis George Berton, in 1898. This compelling story of the later journey is a valentine from son to father, a magical tale of a family adrift, and a poetic exploration of the region's rich history. In experiencing this great wilderness, Berton and his family discover their deep connection to nature -- and each other. I have long been a fan of Pierre Berton's books and have read a great number of them. After his passing, I have been meaning to go back and read some of his older works, as I started reading the books he wrote starting with The Invasion of Canada: 1812-1813, which he published in 1980. This gave me two hooks. 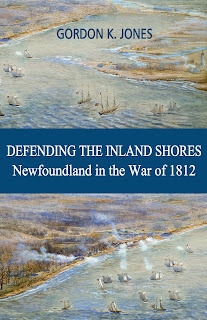 One to find out more of the War of 1812 which has become a favorite topic for me to research and, of course, to read Pierre Berton books. When I saw that the library had this for my Kobo, I had to give it a read. Much of the book would be interesting only to his family. It is his remembrances of looking back at what the area was like when he was growing up there, and back further to when his mom and dad came to Dawson, and comparing it to what he is seeing on the trip, that this a very worthwhile read.